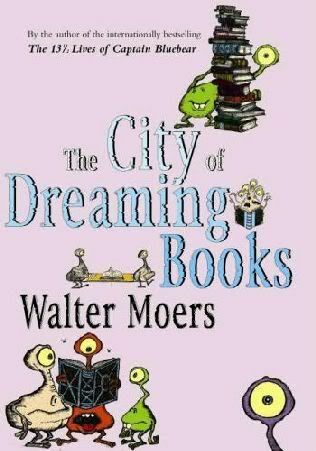 This book by Walter Moers starts in an unconventional way. It starts by warning you not to read on. If you have thin skin and weak nerves you shouldn't continue but if you are a reckless soul then you will enjoy this adventure. It's based in a world called Zamonia, and it is a translation of a novel written by Optimus Yarnspinner. Zamonia lives and breathes books. Everything has something to do with books, either writing, reading, publishing, or selling. This story is how Optimus finds the orm the creative force that great stories are written from. He goes on a search for a mysterious writer and ends up in the adventure of a lifetime. I won't go into anymore detail but I will give this recommendation. If you have kids this is an easy read and kids will either enjoy reading it or have it read to them. There are wonderful illustrations mixed throughout that add to the enjoyment. If you don't have kids don't despair! It is a book that is enjoyable to read for everyone and I would recommend it to everyone but if you don't like fantasy then you may want to skip this book. I give it 5 stars, I thoroughly enjoyed reading it and loved the whole adventure.